Indian art from an Indian point of view. 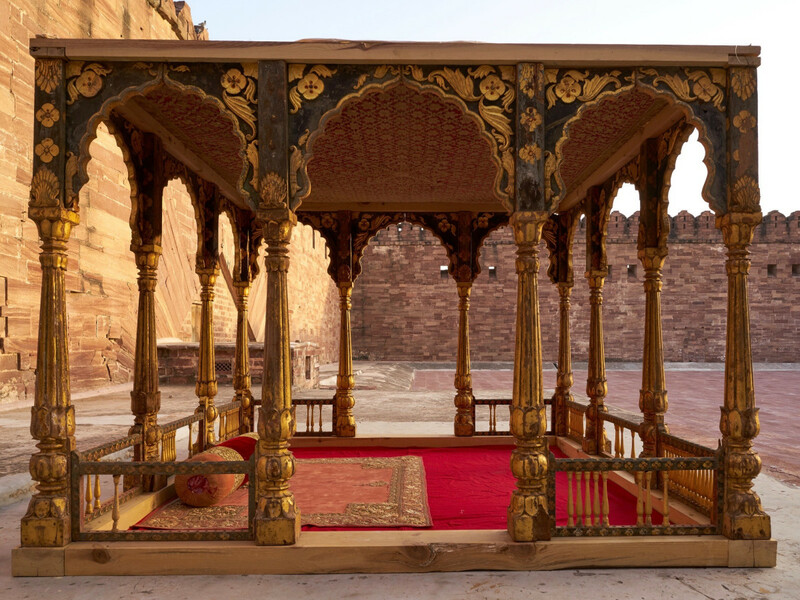 Five years ago, this became one of the organizing tenets when the Museum of Fine Arts first partnered with the Mehrangarh Museum Trust of Jodhpur to bring Houston the momentous exhibition Peacock in the Desert: The Royal Arts of Jodhpur, India. 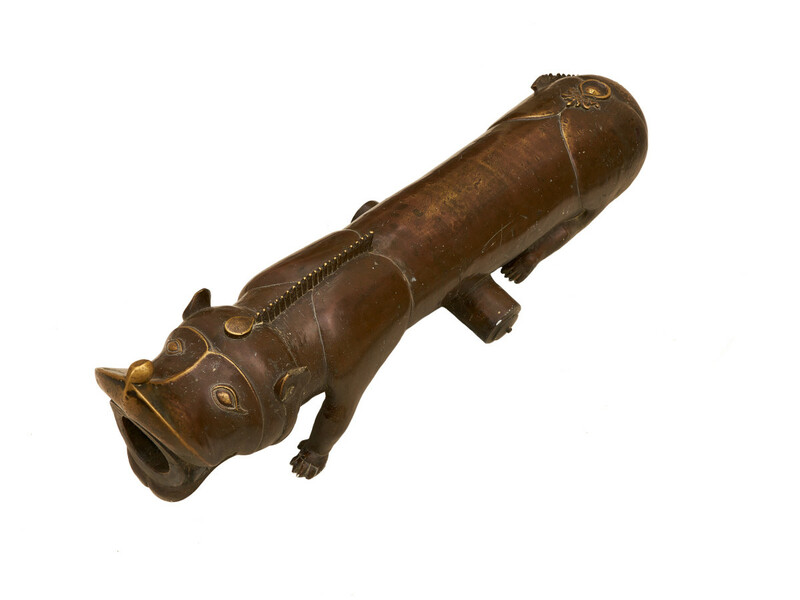 The expansive exhibition chronicling 500 years of art and culture from the kingdom of Marwar-Jodhpur, one of the largest princely states in India, contains 250 objects of Indian courtly life, many of which have never left the northwestern state of Rajasthan, India, until now. 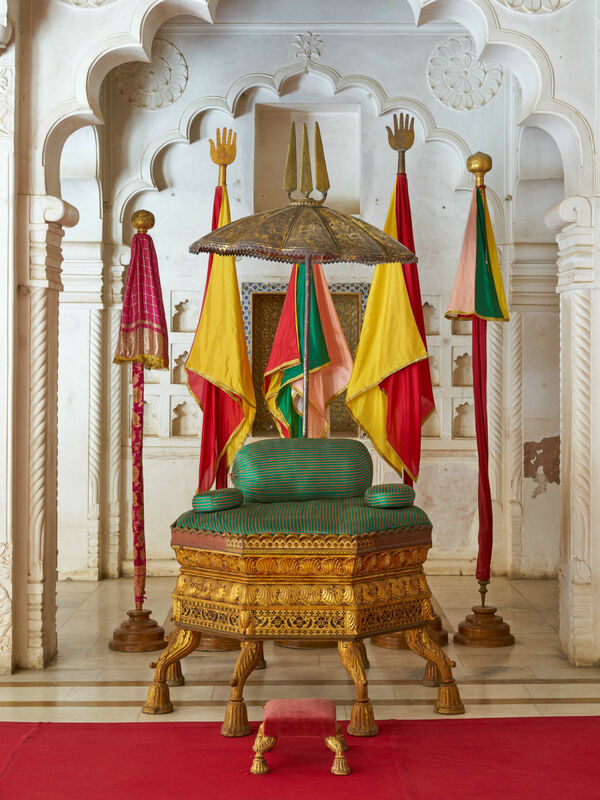 Along for this preview journey through the centuries that Peacock in the Desert explores, were two individuals whose initiative contributed so greatly to the project: His Highness Maharaja Gaj Singh II and his daughter Baijilal Shivranjani Rajye, the princess royal. “It’s thanks very much to the generosity of His Highness the Maharaja, who literally opened up all his reserves and resources and said: Take what you want. Do what you will. 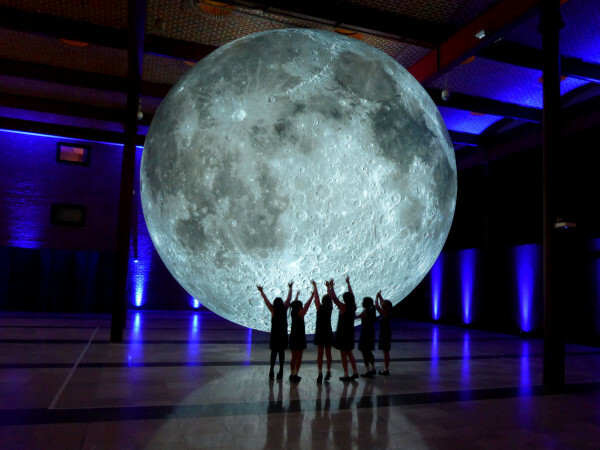 Make as splendid an exhibition as you possibly can,” described Tinterow. 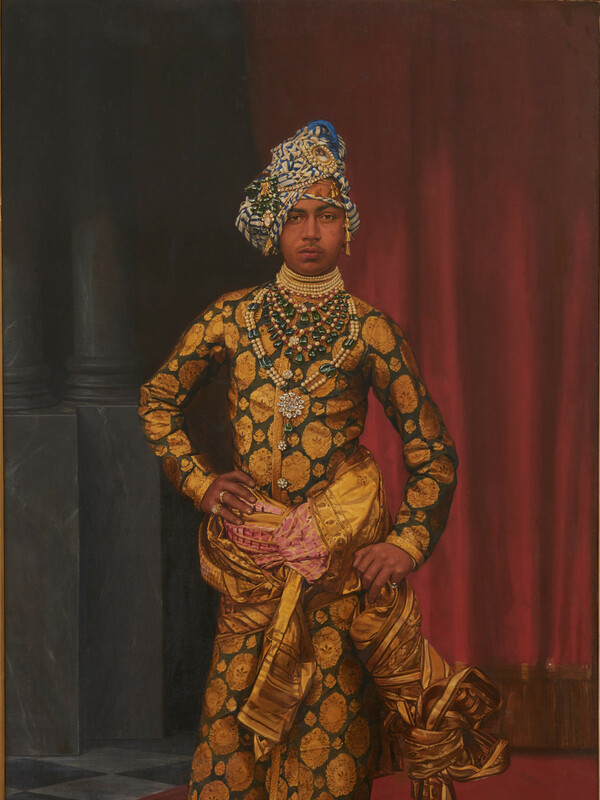 Containing intricate paintings, jewelry, textiles, arms, armor and several modes of travel including a World War II era airplane, splendid seems an apt description for Peacock in the Desert, but I would also add vast in its scope. 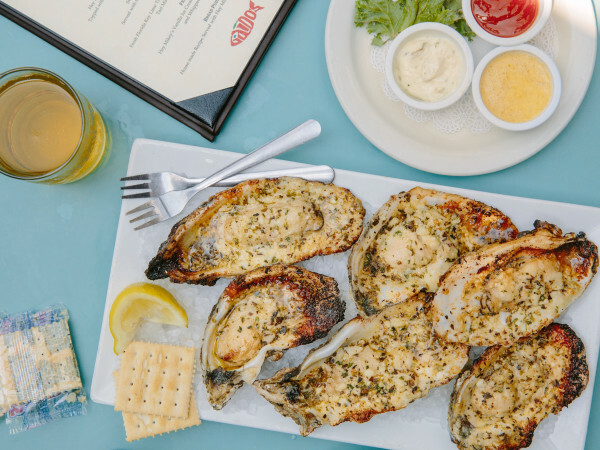 It contains so many objects of beauty it calls for return visits, but for that first look, here’s a guide to the vibrant sights and colors as the MFAH brings the desert to Bayou City. 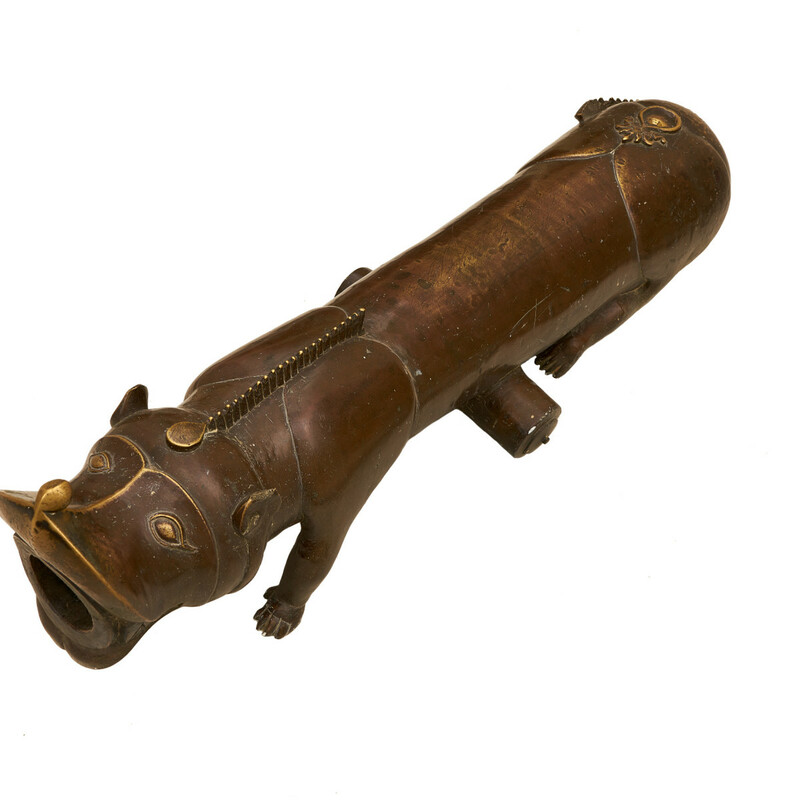 While each object holds its own beauty and unique story, viewed as a whole they tell a tale of the Jodhpur region, its history culture and the Rathore dynasty that ruled it for centuries. Through the paintings, arms, tents, clothes and jewelry, we learn of the rise of the Rathore clan and later the conquest by the Mughal rulers, as well as the regional conflicts and the alliances brokered between peoples. “Our royal history is the history of my country. It is a microcosm of what all India is. It was the royal houses of India that kept our traditions alive,” explains Dr. Mahrukh Tarapor, senior advisor for international initiatives at the Museum of Fine Arts, a member of the curating team that organized the exhibition. Tarapor also noted that those traditions later survived British occupation thanks in part to the royal houses. 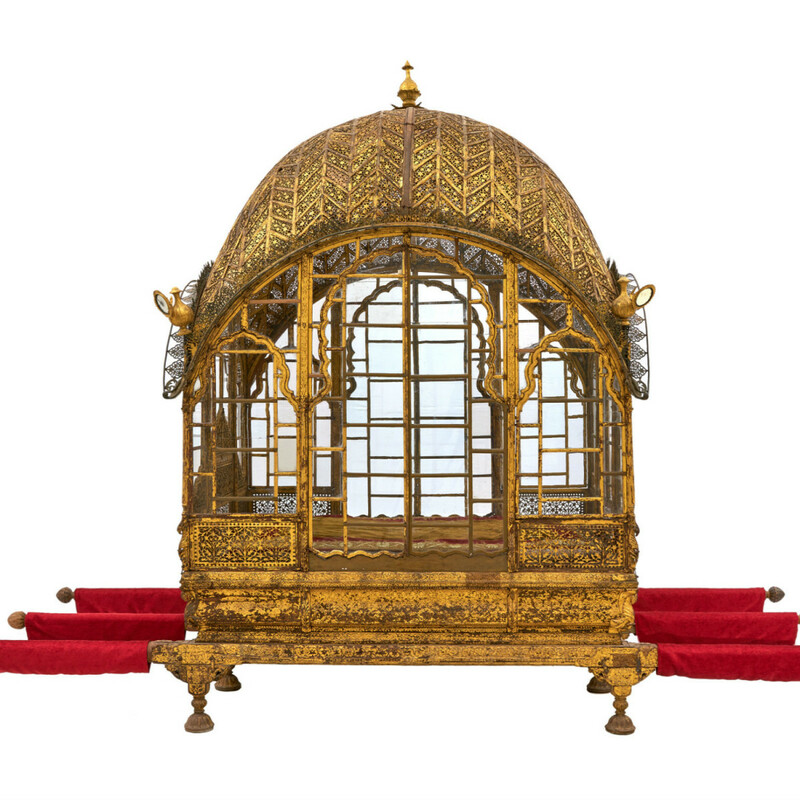 “Basically it’s the story of my family,” said the Maharaja of the exhibition, as he wandered amid the treasures: the furniture, weapons, decorative arts, paintings and carpets once held by and even walked upon by his ancestors. 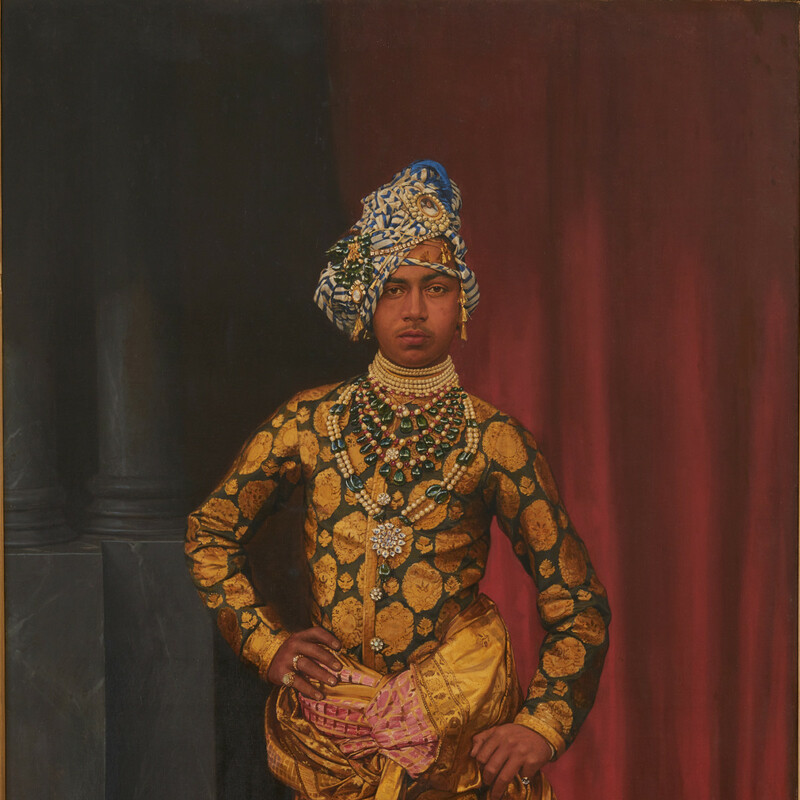 The final gallery even holds large portraits of the more recent members of the line, including his great, great grandfather, and he can still tell stories passed down through the 20th century of the men who ruled but later evolved and changed during India’s turbulent eras. 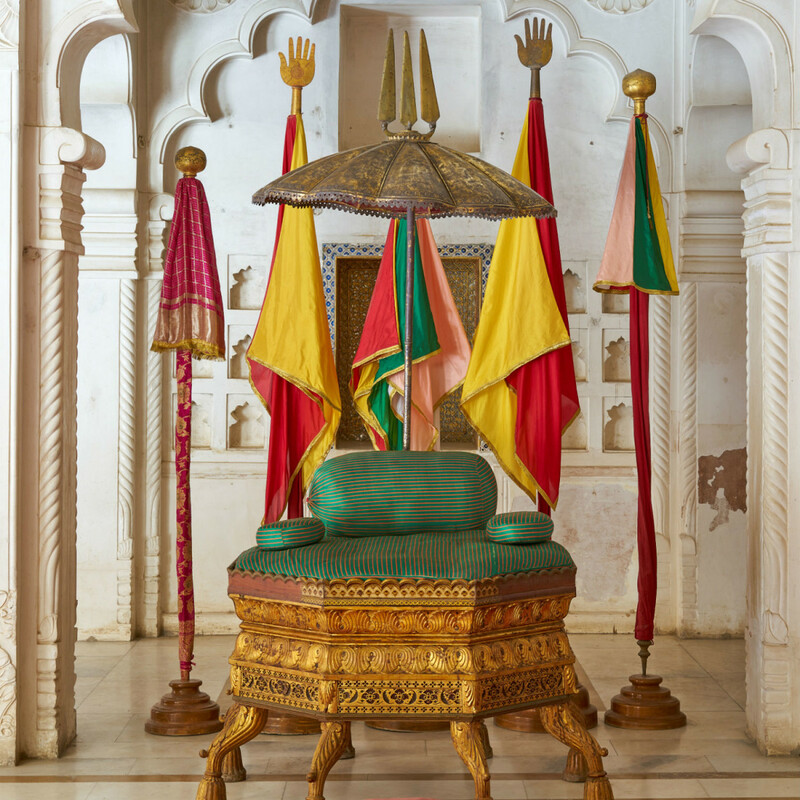 According to Dr. Karni Singh Jasol, director of the Mehrangarh Museum Trust, the maharajas led lives always on the move, and the exhibition proves no matter the century, they always hit the road, and later the air, in style. From the first gallery and the ornate wood and glass Mahadol (palanquin) that took 12 singing men (synchronizing their steps through song) to lift the king within, to a custom-made Rolls-Royce Phantom and Stinson L-5 Sentinel in the final gallery, Peacock in the Desert illustrates it was good to be a king when journeying through India. 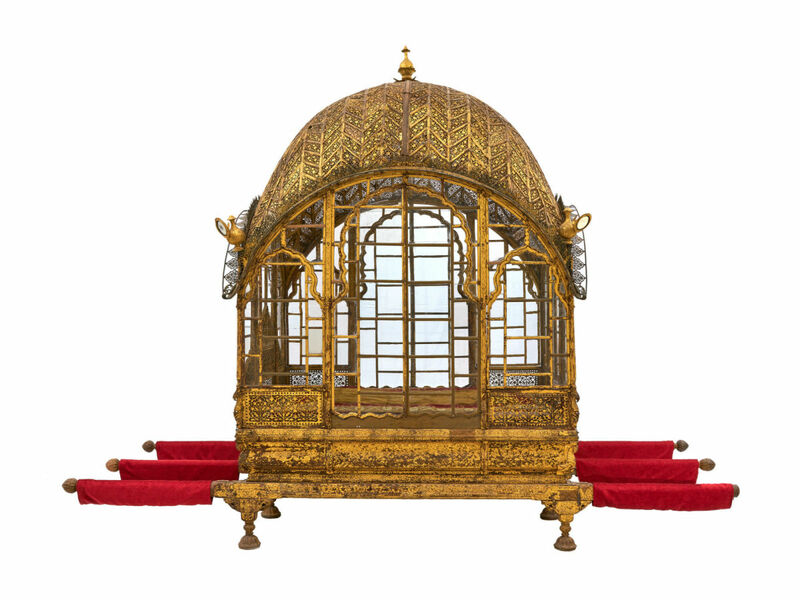 Perhaps one of the most spectacular pieces in the exhibition is the 17th-century Lal Dera tent that helped bring the majesty of the court along with the maharaja whenever and wherever he traveled. The third gallery and its paintings of women participating in festivals, hunts and polo tournaments; gifts for a royal bride and even clubs women used for exercise and military training, all depict life within the zenana, the women’s wing of a Rathore palace where the royal ladies wielded their own power. 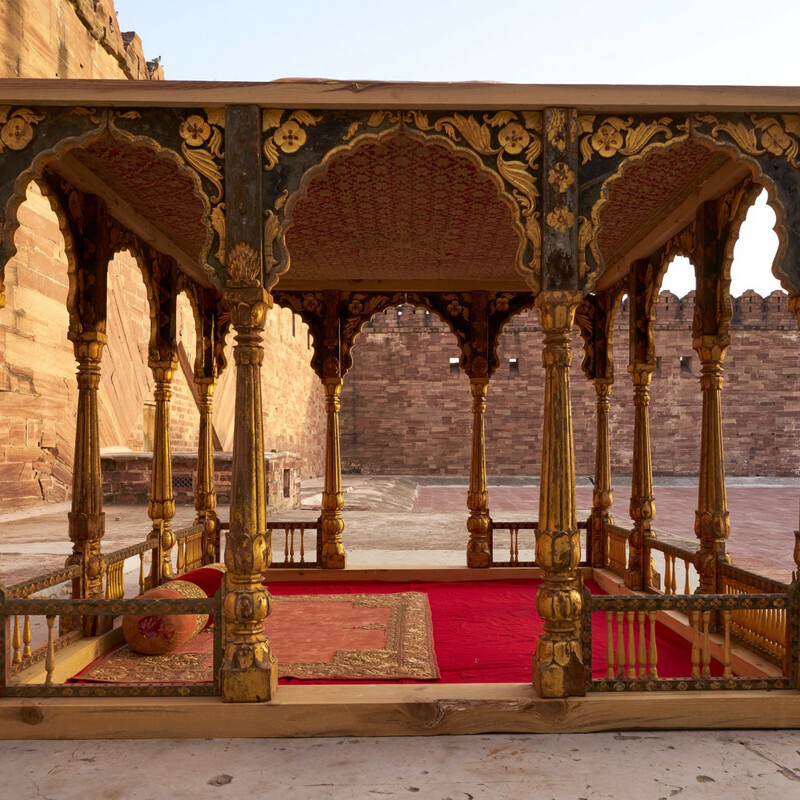 While many of the objects come from the Mehrangarh Museum Trust and and the private collections of the royal family of Jodhpur, don’t be surprised to see other kings and queens getting in on the lending action. Look for beautiful jewelry and textiles, including a floor mat woven out of ivory and silver, on loan from the The al-Sabah Collection, an organization of the Kuwait royal family, and several painted illustrations from another just as royal collection, that of Her Majesty Queen Elizabeth II. 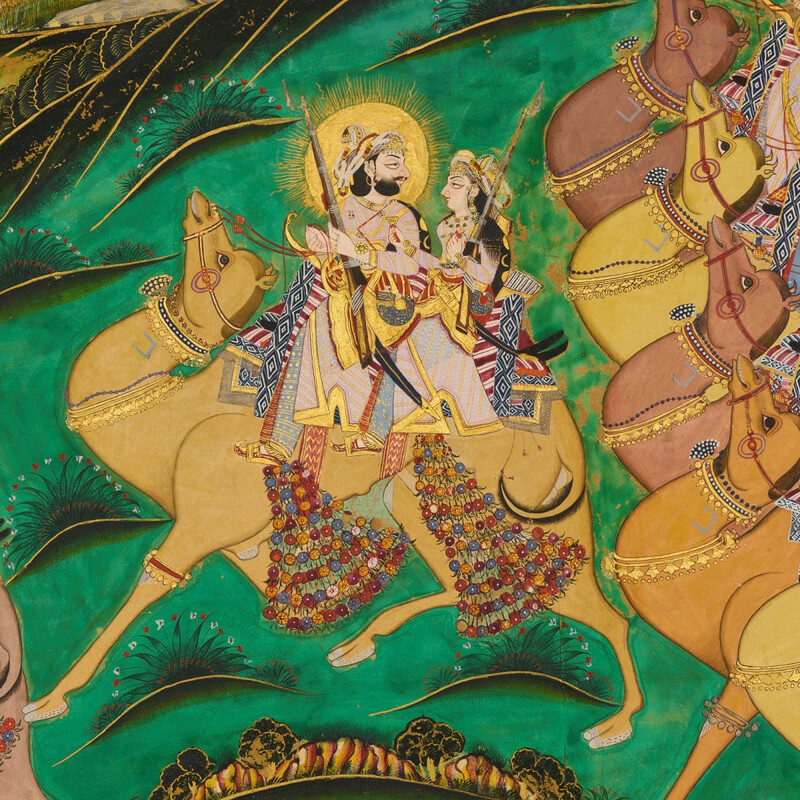 The watercolor works on paper from the Padshahnama (Book of Emperors) were commissioned by Mughal Emperor Shah-Jahan, a bit of luminous art as PR from the 17th century. Taken together the exhibition illustrates that while kingdoms rise and fall, with good stewardship and patronage, art will survive. 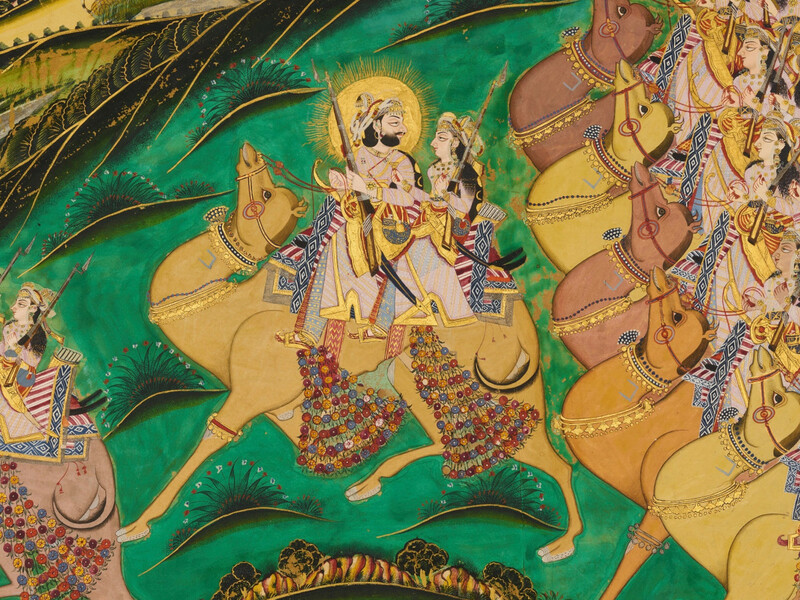 Peacock in the Desert: The Royal Arts of Jodhpur, India is on view now through August 19, 2018. 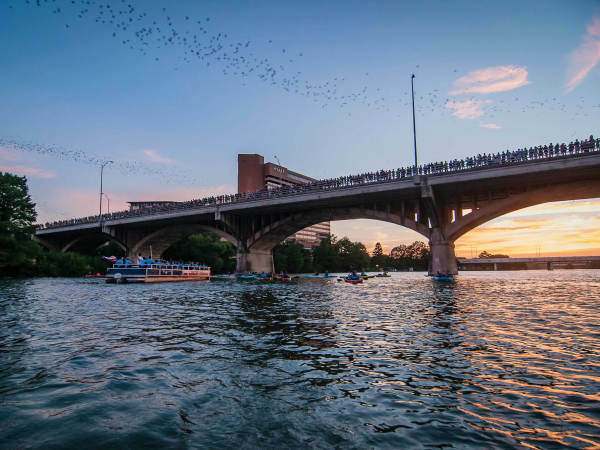 The exhibition is ticketed, but does not require a timed reservation.